Learn to build and play CityVille to its full potential! You don't have to move to the city?just build one! Free to play, CityVille is a real-time simulation game that is available on Facebook and is the latest online game craze. 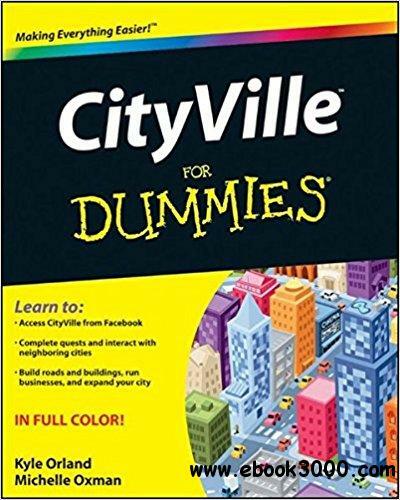 As the only how-to beginner guide for new and current players, this helpful book walks you through the process of building a city from the ground up while acting as the city leader. Serves as an ideal introduction to the popular online game, CityVille Walks you through customizing your city leader avatar, clearing land for your city, and constructing roads Demonstrates how to erect buildings and restaurants, run sales at your businesses, and expand your city to include doctors, police officers, firefighters, and business owners Addresses importing and exporting from other countries, planting and harvesting crops to keep restaurants stocked, interacting with neighboring cities, and more Zeroes in on dealing with technical issues Even if you're a country mouse at heart, this guide to CityVille will take you on an entertaining urban journey!